Welcome to Our Wyoming Office! At Higher Health Chiropractic, it is our goal to help patients and their families achieve better health. It is our mission to equip our community with better health strategies. Chiropractic is a drug-free, physiologically compatible healthcare that allows the body to heal itself by allowing the nervous system to function better. When nerve interference is removed with gentle chiroprac­tic adjustments, healthy cell metabolism, organ function, and mental and physical well-being are restored. Ac­cording to the research, that means more energy, better movement, and a stronger immune system! More and more families are choosing chiropractic because no one is ever too young or too old to obtain a healthy nervous system for life. Healing takes place from the “inside- out,” and that begins with a healthy nervous system! Higher Health Chiropractic provides very specific care and attention through state-of-the-art technology and premier office amenities. Dr. Erik and the staff at Higher Health truly have a heart to serve others by helping you get back to the things you enjoy most in life! Whether that is participating in sports, playing with your children, or getting back to your golf game, our mission is to provide chiropractic care that is affordable for the whole family. 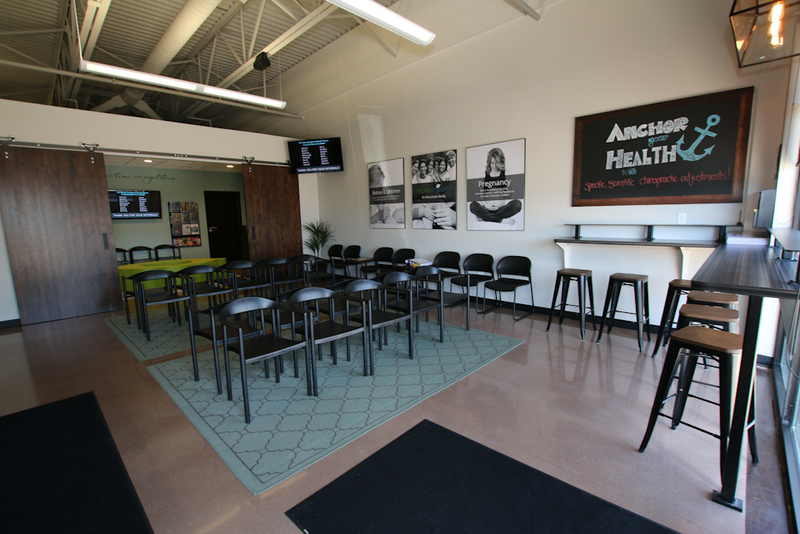 It is our goal that every person in the Greater Grand Rapids area reaches their God-given health potential. Combining state-of-the-art technology with modern chiropractic care. As a modern chiropractic office, we are committed to using the highest quality research and clinical grade instrumentation available for the purpose of detecting and correcting the vertebral subluxation. It is therefore imperative that we utilize state-of-the-art technology as well as time-proven procedures to help you.